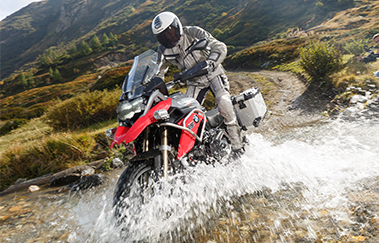 TRAX ADV – ready for adventure! 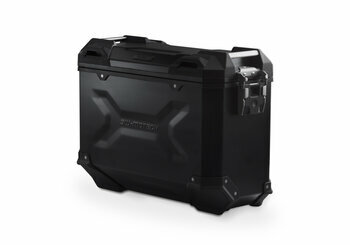 This strong and sleek premium aluminium touring case is suited for any driving situation and offers high durability and protection from water and dust as well as easy handling. TRAX ADV also features strong carrying handles, a completely removable lid, glass-reinforced plastic corner caps and a large chamfer on the lower edge to optimize lean angle and ground clearance for cornering. Proudly designed and made in Germany. 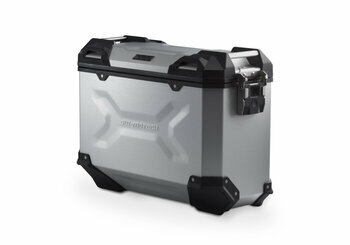 TRAX ADV side cases are available in two sizes and two colours. Silver cases are anodized, black cases have a powder coated finish that provides excellent protection from oxidation and abrasion. TRAX ADV top case and accessories are the ideal addition to the side cases. TRAX ADV has been constructed waterproof and dust tight. Therefore, replaceable seals, robot welding, punch rivet technology and performance tests are employed. Embossed patterns reinforce the 1.5 mm thick walls and create a unique look. The completely removable deep-drawn lid with quick-release latches and restricting ropes provides high stability even when used as a seat. 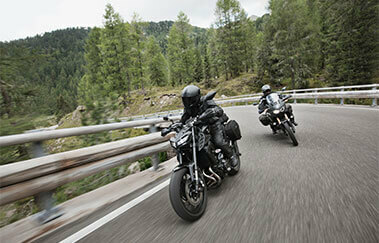 Stable aluminium handles allow easy mounting to the bike and carrying. Four robust tie-down points, integrated into the lid corners provide additional loading options. 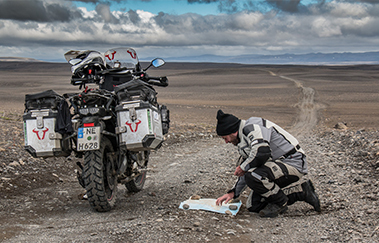 Smart details like a membrane for easy opening after pressure and temperature changes or functional accessories like matched lock cylinder and key sets, accessory bags, bottle and canister kits or camping table guarantee pure adventure feeling. 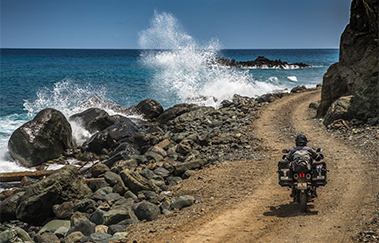 Whether on a long-distance tour or a short trip, the TRAX ADV case is perfect for any adventure great or small. With just two hand movements, they can be attached to the removable PRO or EVO carrier. Adapter kits are also available for mounting the case on carriers from other manufacturers. Side case. Aluminum. 45 l. Left. Black. 49x28x37 cm. Side case. Aluminum. 45 l. Left. Silver. 49x28x37 cm. Side case. Aluminum. 45 l. Right. Black. 49x28x37 cm. Side case. Aluminum. 45 l. Right. Silver. 49x28x37 cm. Side case. Aluminum. 37 l. Left. Black. 49x23x37 cm. Side case. Aluminum. 37 l. Left. Silver. 49x23x37 cm. Side case. Aluminum. 37 l. Right. Black. 49x23x37 cm. Side case. Aluminum. 37 l. Right. Silver. 49x23x37 cm. 45 l left/45 l right (black). Incl. EVO carrier, accessories. 45 l left/45 l right (silver). Incl. EVO carrier, accessories. 37 l left/37 l right (black). Incl. EVO carrier, accessories. 37 l left/37 l right (silver). Incl. EVO carrier, accessories. TRAX ADV M Side case. Aluminum. 37 l. Right. Black. TRAX ADV M Side case. Aluminum. 37 l. Right. Silver.